THIS YEAR’S TRIP HAS SOLD OUT. If you’d like to get an early notification of our next trip, please send me a note at BearDalton@mac.com. Your job is to be at Charles de Gaulle (CDG) airport in Paris by 9:30am Friday morning, May 5, 2017. I recommend (but do not require) that you get to Paris a day or two early so that you are acclimated before the action starts. My job is to get you from there (via Luxury Coach – aka “the Bus”) to Champagne where we will visit 6-7 Champagne houses (such as J.P. Marniquet, Andre Clouet, Perrier-Jouet, Ch. de Bligny, Jacques Picard, etc. ), eat and drink well, and stay at the five-star Hostellerie La Briqueterie. On Sunday, we’ll take a train (TGV) to Bordeaux where we plan to stay at the four-star Pullman Hotel Bordeaux Lac located on the north-side of the city where we will have easy access to all the roads leading to the chateaux. Sunday evening plans include a Bordeaux River Cruise (with tasting on board) and dinner in the city. Monday and Tuesday will find us in the Medoc (Margaux, St. Julien, Pauillac, and St. Estephe) visiting such properties as Leoville Barton, Leoville Poyferre, Batailley, Cantenac Brown, Pontet Canet, Pichon Lalande, Calon Segur, Pontac Lynch, Gruaud Larose, Branaire Ducru, etc. On Wednesday we’ll be in Pessac Leognan and Sauternes visiting properties such as Smith Haut Lafitte, Carbonnieux, Coutet, Carmes Haut Brion, etc. On Thursday and Friday, we will be on the Right Bank visiting properties such as Croix St. Georges, Vieux Ch. Certan, Figeac, Canon La Gaffeliere, Laplagnotte Bellevue, Canon, Daugay, Pavie MacQuin, and Puygueraud. Saturday will be a mix of wine and tourism with a concluding dinner. I am working on getting 3 of the first growths on the schedule. The trip will end with check out in Bordeaux on Sunday (5/14/17) morning (or you may extend your stay in Bordeaux or head out to a different destination in Europe). At that point, my job is done. Each morning, we will leave the hotel about 8:30-to-9am and will return after dinner by about 10:30-11pm (unless we are dining at the hotel). Each day includes breakfast at the hotel and all lunches and dinners, mostly at the chateaux or properties, with older wines from the properties. This is a wine intensive trip (with quality over quantity) with unusual access to great properties and their wines. We are in process in arranging transport (bus and train), logistics, and hotels and I am now scheduling winery visits and meals at the chateaux. From lunch on Friday May 5th through dinner on Saturday May 13th, all meals and wines are included. The trip is priced at $5000 per person (double occupancy, airfare to Paris / from Bordeaux is not included). The single supplement is $900. A $1000 deposit will be due by January 20th. Final payment of the balance is due by March 22nd. Payment may be made by check or credit card. This trip is already 2/3 filled by people who began asking to go after they heard about my last trip to Champagne and Bordeaux 2 years ago. If want to come, please respond quickly to BearDalton@mac.com. This is going to be a good one. The four-hour window of the tasting should you ample time to taste the wines and visit with our guests from Bordeaux. The tasting will include a spread of artisanal cheeses and breads chosen to help absorb the wines and refresh the palate. We will taste from Riedel Degustazione (tasting) glasses. The 2014 Cru Classé Bordeaux Tasting will cost $80.00 total per person cash ($84.21 regular). To reserve your spot for this unique Bordeaux event, please contact Susan Coburn at 713-854-7855 or coburnsusan2@gmail.com. Sometimes I get a little bit crazy about some aspect of wine. Right now that aspect is Champagne. ‘Tis the season so I’ve but together a 40 page overview of the State of Champagne today with a particular focus on Grower Champagnes. Please click below for a .pdf which you can read on screen or print to read later. Good News Out of Burgundy from the Drinks Business. 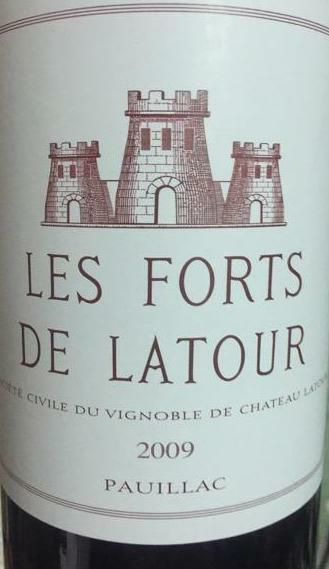 JUST ARRIVED: Chateau Latour 2000 and Les Forts de Latour 2009 direct from the cellars of the chateau: Available from the temperature-controlled third floor of Spec’s at 2410 Smith Street in Houston. 77% Cabernet Sauvigon, 16% Merlot, 4% Cabernet Franc, and 3% Petite Verdot. Red-purple in color, and with well formed legs; dry, medium-full-bodied with freshly-balanced acidity; medium-plus phenolics. Lovely-pure-focused-integrated-complete. Fruit, dry floral, and pencil shavings bouquet. Secondary flavors have emerged. WOW. Beautiful wine. BearScore: 98+. 65% Cabernet Sauvigon, 32.5% Merlot, 0.5% Cabernet Franc, and 2% Petite Verdot. Red-purple in color with well formed legs; dry, medium full-bodied with freshly-balanced acidity and medium-chewy phenolics. Elegant, supple, developing. Deep red and darker red fruit with tobacco and spice, gravel, and dust. Still youthfull but opening up and more than drinking as a big steakhouse red. BearScore: 95+. I’ve been visiting Ch. Latour every year for 20 years now and the changes there have been staggering. My first visit showed wines that were consistently in the top 4 or 5 for any given vintage in Bordeaux. No surprise there; this is on of the five first growths of the classification of 1855. 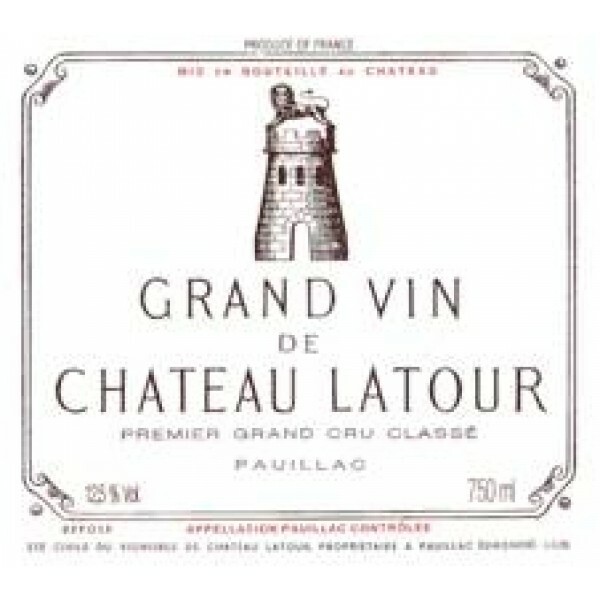 While all the great properties have upped their games since the mid 1990s, none has spent more and focused more than Chateau Latour. The vineyards and the process are immaculate and the wines have continued to improve and stay in that top quality level. But the biggest changes may be in the storage and commerce of the wines. Ch. 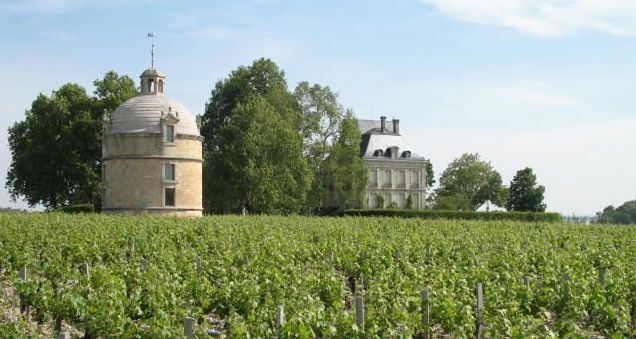 Latour has enlarged and deepened their cellars and has stopped selling new vintages in the premiers system on the Bordeaux place. Instead, they are holding the three wines in their own pristine cellars and selling them when they determine that the wines are ready. The most recent release is Ch. Latour (Grand Vin) 2000 and Les Forts de Latour 2009. Some years ago, three of the so-called second wines of the first growths (Les Forts de Latour, Pavillon de Margaux, and Clarence de Haut Brion) have risen in quality to the point that each is now in the top five and sometimes in the top two or three wines from their respective appellations (Pauillac, Margaux, and Pessac Leognan). Les Forts is now performing at a level that exceeds most of the second classified growths. It is a top ten wine within the whole of the Haut Medoc (which includes Margaux, St. Julien, and St. Estephe as well as Pauillac). Current vintages (due to improved farming, tighter selection, and focused process) can give pre-1995 vintages of the grand vin a run for their money. I no longer think of Les Fort as a second wine; rather, it is (after the three first growth grand vins) one of the three or four best wines of Pauillac on a year-in-year-out basis. In 2009, the first 1,000 magnums were drawn and put through the Champagne process. After another 5 years aging on the lees in Henriot’s cellars in Reims, the wine was disgorged and given a final dosage of less than 5 grams per liter. Each year, another 1,000 magnums will be released. “Its dosage of less than 5g/l gives full rein to the aromas of its terroir. It is a beautiful pale yellow with golden highlights and a gently efferevescent mousse, leading into a bouquet of fresh butter and white flowers. 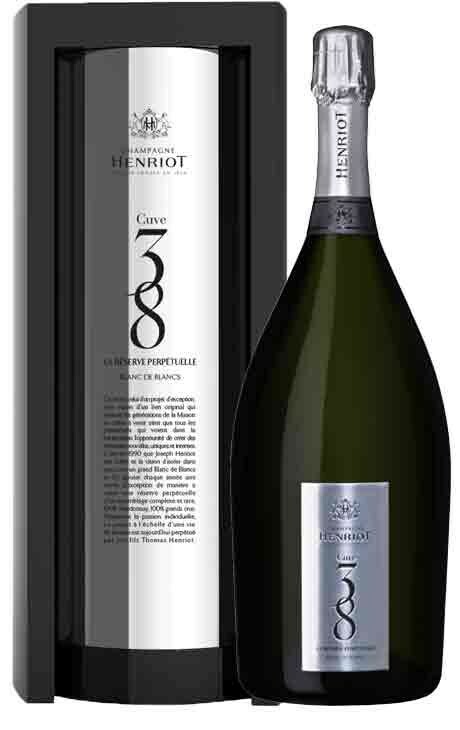 Cuve 38 also reveals both mineral and slightly creamy notes underpinned by hints of liquorice. On the palate, its richness is elegant and there are avours of citrus and ripe apricot. Finally, the wine delivers elements of both honey and viennoiserie, redolent of the Henriot style. 100% Chardonnay all from Grand Cru Vineyards fermented using Methode Champenoise from all Reserve solera wines bottled in Magnum only with a less-than-.5 dosage. Pale-gold-straw in color, fully sparkling; dry, medium-full-bodied with freshly balanced acidity and scant phenolics. Deep dense, unique wine. Pure expression of Chardonnay and chalk, mineral and yeast but most of all development. The wine evolves in the glass as if slowly flattens and warms. It really succeeds as wine, not just as sparkling wine. My first impression score was 94+. Three hours later it was 97. Two days later (the still 2/3s full magnum stored cold and tightly stoppered) it was 100. This is stunningly good, utterly unique Champagne that almost demands decanting to help it develop in a reasonable time. Or you could keep it for a few years and then … WOW! Only 2 magnums available only at Spec’s at 2410 Smith Street in Houston. Please join Spec’s fine wine buyer Bear Dalton at for Vintage Dated Port. Port wines are numbered among the classic wines of the world and are quite collectable. The most desired are Vintage Port but not all Vintage-dated Ports are the same – so a little information goes a long way toward understanding Port by the numbers. Topics of discussion will include types of vintage-dated Port (and why and how they are different), the origins of Port wine and how it evolved, Serving and Drinking Port, “Pass the Port” (Port Wine Customs), and Decanting Port (including a decanting demonstration). The wines will range from 10 to almost 40 years old. Fifteen Port wines will be tasted and bread and cheese will be served. Vintage Dated Port will cost $100.00 per person cash ($105.26 regular). To purchase your ticket, please contact Susan Coburn at 713-854-7855 or coburnsusan2@gmail.com. If you buy a ticket and will not be able to attend, please cancel at least 24 hours before the class or you may be charged. Later cancellations will not be charged if we can fill the seat. This is often case as we regularly have waiting lists for these classes. L’Alliance Française is French Cultural Center in Houston. Located at 427 Lovett Blvd., it is on the Southeast corner of Lovett and Whitney (one block south of Westheimer and two blocks east of Montrose).